The flourishing realm of voice activation isn’t quite up to these last tasks – yet. But for Dunkin’ Brands, voice-activated ordering is a clarion call towards sales growth and forward-thinking. Nearly one in four 16 to 24 year-olds use voice search on their mobile devices, according to the Global Web Index. And by 2020, half of all searches will be voice searches, estimates comScore. All this means that Amazon’s Alexa, and other voice tech protocols, will be very busy. Brands like Dunkin’ that are integrating cloud-based voice services with their mobile app are creating a seamless experience for their customers and catering to their daily routines. But as Dunkin’ users have discovered, voice-activated On-the-Go Mobile Ordering requires set-up; if you’re an occasional customer and not a DD Perks Member, Alexa can’t help you. A customer can’t look at a screen and double-check their order, and the coffee still has to be picked up at the store. For the brand, voice commerce puts more customers in the app ecosystem and opens doors that go from merely being able to reorder a donut to a full “conversation.” Systems are evolving to become more functional, to recognize preferences (no sugar, extra milk); to enable pick up or delivery, and to facilitate easier payment methods. 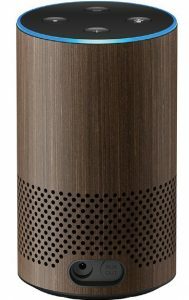 This is still early in the game, putting Alexa on the basement level of voice-technology potential. Right now, companies like Dunkin’ can see usage stats for their Alexa apps – such as the number of times it was used as well as locations or zip codes – but not what people are actually saying. In the future, tech companies believe voice search can be trained to provide anonymized data about the voice queries made using their “skill,” as well as metrics on the habits of the users, the types of searches they make, their location data and other general information that can help build a marketing profile of someone without violating their privacy rights. Order history patterns such as items that are commonly purchased together. Able to push out customized deals, coupons, rewards to customers (direct marketing). Ability to up-sell and suggest other items patrons may enjoy. Potential ability to gather some demographic info on customers (privacy limits this). Mapping of stores that customers visit – does a Dunkin’ customer typically visit multiple stores? Or just one? “Data collection isn’t just necessary for Dunkin’ to stay competitive, it’s honestly becoming necessary for all restaurant operators to stay relevant,” says Schimpf. But nipping on Dunkin’s heels is Starbucks, which is on the cutting-edge of app and loyalty program development. Starbucks remains the mobile payment app leader, even over Apple Pay, Google Pay and Samsung Pay, according to eMarketer data. “Dunkin’ really has to keep pace with them to not lose market share among consumers who default to Starbucks solely because of the ease of their digital platform,” says Schimpf, who believes Starbucks’ success is due to its ability to combine its payment and loyalty programs, giving convenience and value to its consumers. Despite that, Dunkin’ is holding strong, adding more than 2 million members to its DD Perks Loyalty program last year, and bringing its total membership to approximately 8 million. The On-the-Go Mobile Ordering for DD Perks members continues to prove very popular, with a retrial rate of 80 percent. Dunkin’ is also evolving its mobile ordering platform by optimizing speed in drive-thru locations, especially with the use of Waze. Dunkin’ claims it is the “first partner” for Waze, the Google-owned, crowd-sourced traffic and navigation app, and may well be blazing a trail for other brands to follow. In 2012, Waze mapped all Dunkin’ destinations within the app. Waze then integrated an ordering function, so drivers could use the technology to pinpoint the nearest Dunkin’ Donuts location and tap a single button to launch On-the-Go Ordering. 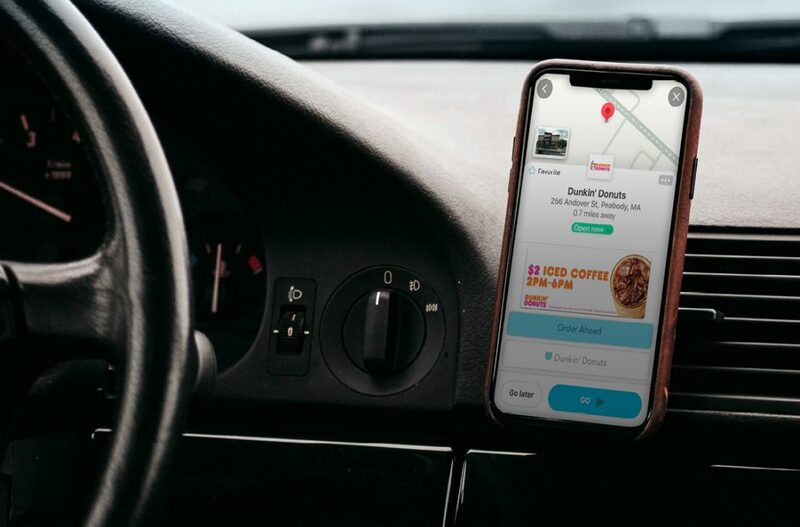 For Wazers, it personalizes the driving experience, saving them time and money; for Dunkin’ Brands, it makes the route to a Dunkin’ shop fast and easy for DD Perks members. “Our new Order Ahead feature expands Waze’s mission of saving time on the road by enabling consumers to now also save time in-store, while giving brands a new opportunity to engage with their customers,” Jordan Grossman, head of business partnerships North America at Waze, said in a press release. Use of the Waze app – and also Alexa – solidifies brand loyalty, Dunkin’s Chief Digital Officer Scott Hudler said in the same release. 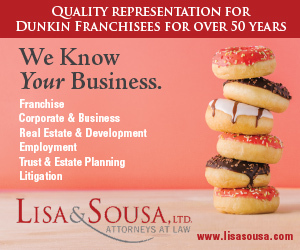 “Loyalty is the main focus for all that we do at Dunkin’. 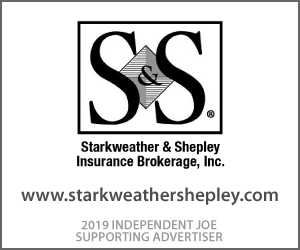 Leveraging the best technologies helps our brand continue to stand apart for valuing our loyal guests and providing them with exciting and innovative new ways to purchase Dunkin’ Donuts food and beverages as quickly and seamlessly as possible,” he wrote. But sometimes technology doesn’t work and problems ensue, as we have seen most notably with Starbucks, which says it earns 13 percent of its sales through mobile ordering. Over the summer, a system malfunction created quite a headache for the company and its customers. The popularity of the app has also created bottlenecks behind the counters where baristas can’t keep up with the flood of mobile orders for lattes and Frappuccinos. Dunkin’ is hoping to avoid such fiascoes by maintaining one of the fastest speed-of-service records in the QSR industry. And, the new NextGen restaurants include a dedicated mobile order drive-thru lane—no other QSR has yet offered that feature. What does the future hold for Dunkin’ and data? Ask Alexa, and she might accidentally order you a donut, as voice still has many kinks to work out. Cherri Pancake, president of the Association for Computing Machinery Code of Ethics for computing professionals, warns that as AI and other data collection and analytic technologies become more powerful, businesses like Dunkin’ need to be keenly aware of ethical issues and accountability for the systems they are putting into place. By 2020, there will be 20.4 billion connected devices in use, according to market research firm Gartner. With increases in mobile devices and data in the future, no doubt Dunkin’ will be leveraging intelligence at a higher pace and across the entire organization – not only to fuel marketing efforts, but also to enhance their business strategies, according to Antonio Tomarchio, CEO of Cuebiq, a location intelligence and measurement company. There will be plenty of data to collect and mine. What it will show? Maybe Alexa knows.